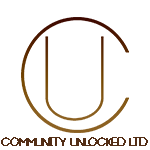 Community Unlocked is a registered charity…..and a company incorporated under the laws of Jamaica limited by guarantee (company registration number 93179). Community Unlocked registered address is Nonsuch District, Look Out PA, Portland Jamaica WI. Community Unlocked and the communities we seek to help are dependent on the goodwill and financial generosity of our supporters as well as your trust and we welcome your continued financial contribution to our mission. We are committed to protecting any personal information we obtain about you whether you are just visiting our website, a campaigner or you are a financial supporter. communityunlockedja.com is committed to safeguarding your personal information whenever your information is provided, and we are legally obliged to use your information in line with all laws in relation to protection of personal information, as well as the Data Protection Act 2017, and the Electronic Transactions Act 2007.
communityunlockedja.com website contains hyperlinks that is owned and operated by third parties, and their sites have their own data protection regulations, cookies and privacy policies directives, it is suggested that you view them. Any such visitation to third party sites is at your own risk, and we cannot accept any liability or responsibility for the privacy practices of third party websites. What information will Community Unlocked collect about me? When you contact communityunlockedja.com to make a donation or sign up to any of Community Unlocked online content or activities, such as newsletters, competitions, or your email, telephone, write to or text Community Unlocked, or communicate with Community Unlocked, through social media, we may receive and retain personal information about you. This can consist of such information such as your name, bank account details to process donations and whether or not you are a tax payer so that we can claim gift aid. By submitting your details, you enable communityunlockedja.com (and where applicable any sub-contractors we may use to raise funds and provide you with the services, information, or online content you select). If you are just browsing through our website as an anonymous browser, Community Unlocked may still collect certain information from you, such as your IP address which is a unique id number which identifies a specific computer and other devices on the internet. If you enter your contact details on you contact forms, we may use this information to contact you, even if you don’t “submit” the form. We will only do this in exceptional circumstances to see if you might be experiencing any difficulty with our website or the form. How will Community Unlocked use the information you collect about me? “For services delivery and administration purposes”, which means that Community Unlocked may contact you for reasons related to donations you have made, to contact you about content you have provided, to invite you to voluntary participate in Community Unlocked research and survey, and opinion on the work we do. Will Community Unlocked share my personal information with anyone else? Community Unlocked will not, under any circumstances, share, or sell your personal data with any third party for marketing purposes, and you will not receive offers from companies or organizations as a result of giving your details to us. We may need to share your information with our service providers, “analysts” and associated organizers who will help us to send the material in relation to our project and fund raising activities. Our “analyst” will only act under our instructions, and we will not allow these organizers to use your data for their own purposes, and will act with care to ensure that they keep your data secure. We will adhere to legal request where disclosure is required or permitted by law, for example, to Government agents for tax purposes, or law enforcement agencies for crime prevention. All such requests from agencies will be formally required from us. If you send or post inappropriate, offensive, or objectionable content to or anywhere on the Community Unlocked website, we may use your personal information to inform relevant third parties such as your internet and social media providers as well as law enforcement agencies about your behavior and the content and where Community Unlocked reasonably believes that you are or may be in breach of any of the laws of Jamaica and England if you live there. How long will Community Unlocked keep my personal information? We will hold your personal information on our system for as long as is necessary for the relevant activity, for example we will keep a record of donations for at least eight years. If you request that we are to stop sending you marketing materials, we will keep a record of your contact details and appropriate information to enable us to carry out your request not to be contacted by us. Legacy donor income is important to the running of the charity. We may keep data you provide to us indefinitely to carry out legacy administration processes and communicate with families and to analyze sources of legacy income we receive. Where there is a response to a particular campaign, and you provide to us personal content, we will generally only keep your content for as long as reasonably required for the purpose(s) for which it was submitted unless otherwise stated. What is Community Unlocked policies on allowing me to delete, update, or even correct my personal information. It is important to us to have accurate information and to ensure that you are happy with the ways that we communicate with you, and to provide you with relevant information. Please contact us should you wish to change how we communicate with you, or update information we hold. Under the Data Protection Act you have the right to request a copy of the personal information we hold about you and to correct any inaccuracies. (We Charge Fifteen English Pounds for information requests and two pieces of approved identification will be required. Cookies are small text files on your computer made by your web browser when you visit a website, whenever you go back to that website a cookie file will be sent back to that website server, cookies are useful because they allow a website to recognize a user’s device and they do lots of different jobs like remembering your preferences, letting you efficiently navigate between pages, and generally improving browser experiences such as more relevant adds to your browser experiences and your interests. Posted on January 28, 2017 by Tony Ramsey. Copyright 2018. Community Unlocked. All Rights Reserved.